Free seminar for G.C.E O/L students. Place : KM/Shanmuga vidyalayam Karaitivu. 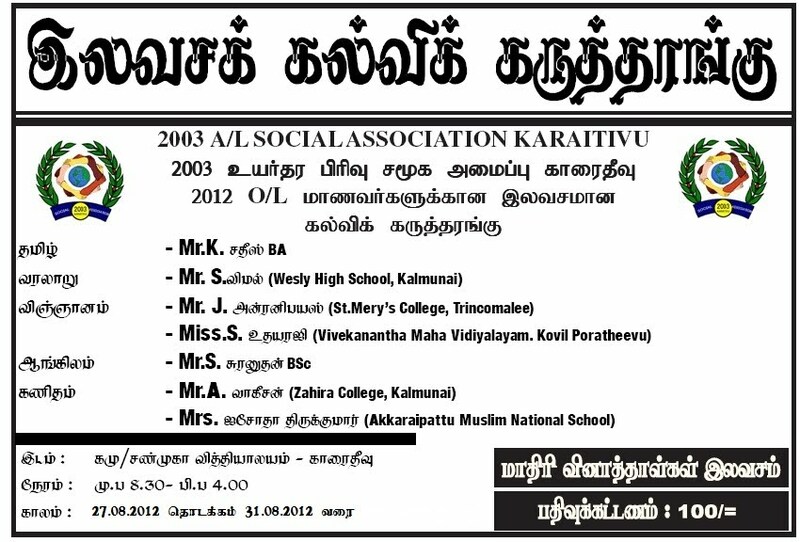 Info:2003 A/L Social Association Karaitivu.